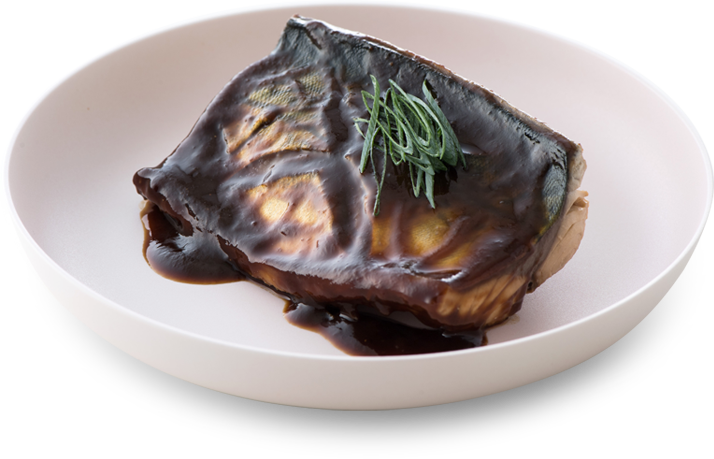 Kyoto is known for the use of all kinds of miso to make mackerel miso dishes. 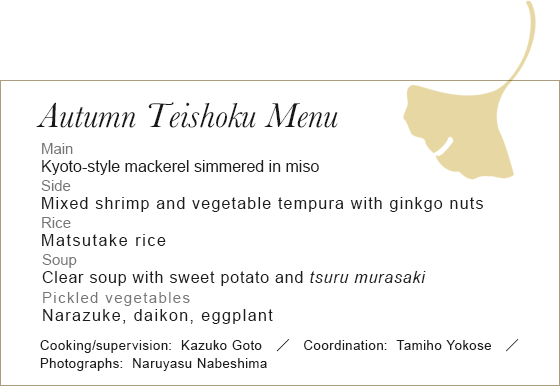 This time, we’re using haccho miso, a dark variety of miso with a strong, distinctive flavor. For a decorative garnish, we’ve accompanied the dish with kujo negi, a variety of leek. ❶Cut X-shaped incisions into the skin side of the mackerel fillets. Blanch the mackerel by dipping it into a pot of boiling water and then retrieving it with a bamboo sieve once the color changes. Bring the ingredients of group A to a simmer in a pan over a medium flame, then place the mackerel on top with the skin side facing upward. Once the ingredients begin to simmer again, skim and discard the foam, and spoon the remaining cooking liquid over the mackerel. Put a drop lid on the ingredients and let them simmer over a low flame for 5-6 minutes. Adding the mackerel fillets once the cooking liquid has started to simmer will reduce the fish’s odor. ❸Add a small amount of the cooking liquid to the miso and mix it in. ❹Add the miso from step ❸ to the pan and blend it in. Simmer for 5-6 minutes over a medium flame without a lid to reduce the cooking liquid. Transfer the mackerel fillets to a plate, spoon over some of the cooking liquid and garnish with kujo negi. The miso is added later during cooking to leave its aroma. Ensure that the miso is properly blended in to avoid lumps. 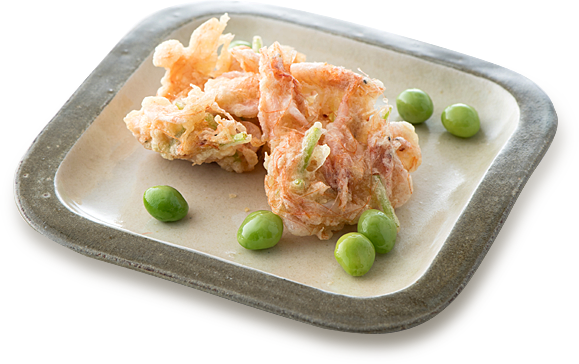 This is a variety of kaki age (a dish of seafood and vegetable tempura) using shrimp and Japanese parsley (mitsuba) stems. The sweetness of the shrimp and the aroma of the parsley permeate through the crunchy batter. Matsutake is a popular variety of mushroom in the fall. 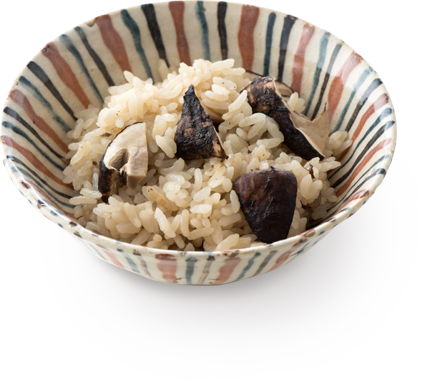 Use slightly largish matsutake so that you can enjoy their texture as well as the aroma. This time, we’ve used both light and dark soy sauce to bring out the full flavor. Soups are a popular feature of Kyoto cuisine. 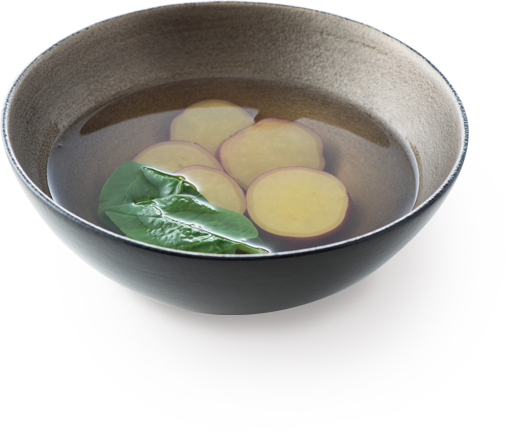 This dish combines fresh sweet potato and the leaves of tsuru murasaki (Indian spinach). Niiname-sai is a ceremony that takes place on November 23 every year to offer thanks for the fall harvest. It is believed that the ceremony was first performed during the Asuka period of Japanese history (during the 7th century), and today it is carried out in the Imperial Court and shrines across Japan. Niiname is made up of two Japanese words: nii, meaning “new,” referring to the new harvest of rice, and name, which in this context means “tasting.” (Sai, also read “matsuri,” means “festival.”) At the Imperial Court, the Emperor tastes some of the year’s new crop of rice, gives thanks to Amaterasu Omikami and the myriad of kami for the bountiful harvest, and then prays for an abundant crop the next year. When a new Emperor takes the throne, the first Niiname-sai that takes place under his reign is called the Daijo-sai. The last Daijo-sai that took place was after the accession of the current Emperor in 1990. This is a very important ceremony that a new Emperor performs only once at the start of his reign. Heads of state from countries around the world were invited to the previous ceremony. As the current Emperor plans to abdicate the throne in 2019, the Niiname-sai in 2018 will be his last. Following the war, the historic Niiname-sai was repurposed as Labor Thanksgiving Day, and is now a public holiday. Kanname-sai is a ceremony that takes place at the Ise Jingu in fall. 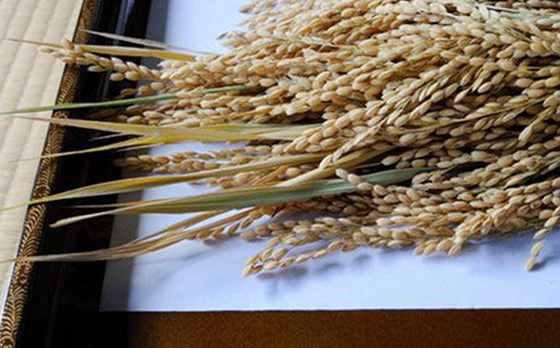 The year’s harvest of rice is offered to Amaterasu Omikami to show thanks for its abundance. Kanname-sai takes place earlier than Niiname-sai, between October 15 and October 17 every year. 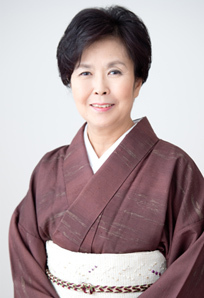 At the ceremony, a special offering called “yuki*1 no omike” is presented at 10 AM and 2 PM. 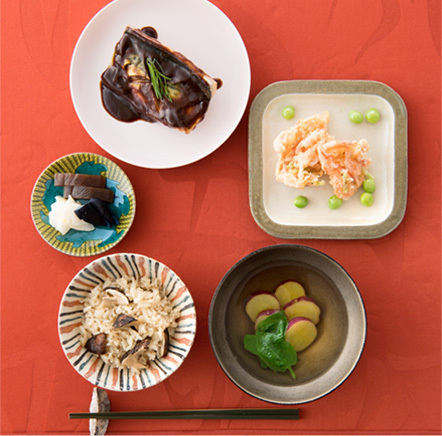 “Omike” means “a magnificent meal,” and consists of new rice harvested from the Ise Jingu’s affiliated rice paddies, mochi, various seafoods and mountain vegetables, and shiroki kuroki (white sake and black sake). At midday, a messenger arrives from the Imperial Court to perform hohei no gi, a ceremony in which offerings*2 from the Emperor are presented to Amaterasu Omikami. *2 : These offerings, called heihaku, consist of sacred paper, rope, and cloth used in Shinto ceremonies.